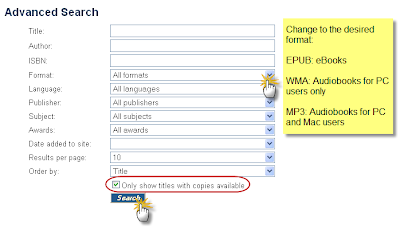 The best way to browse the site -- especially for available titles -- is to perform an advanced search. Click on the Advanced Search link. Leave the title, author, and even subject (if desired) boxes empty. Adobe EPUB eBook for digital books you read on your computer or compatible reader, like a Nook, iPad, etc. 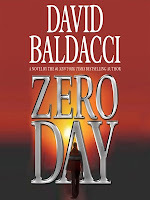 OverDrive MP3 Audiobook: The MP3 audiobooks can be downloaded to a Mac or PC and transferred to a wider variety of audio players. 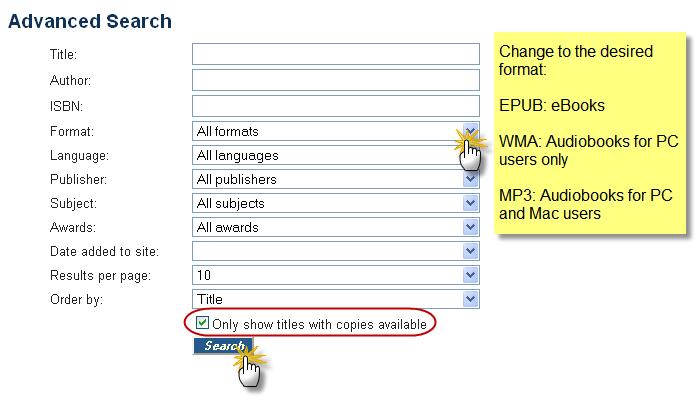 OverDrive WMA Audiobook: The WMA audiobooks can only be downloaded to a PC and transferred to WMA-compatible audio players. Check, "Only show titles with copies available."